Surprise ! 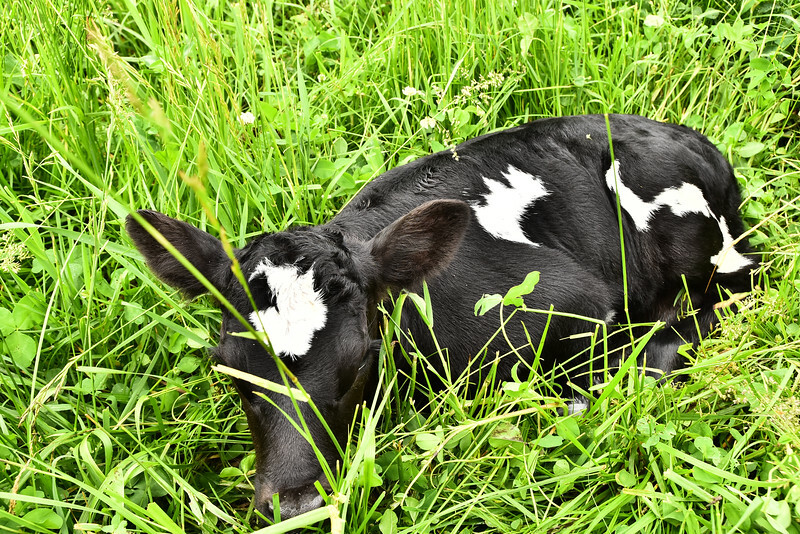 When I found this calf on June 5, I assumed it belonged to Chris's herd because of the markings----several of his cows & calves are black & white. But when I was examining the little one (a heifer), 016 A strolled over & started licking it & then I realized it was one of ours.